It is not possible to peel KMNPack paper bags. 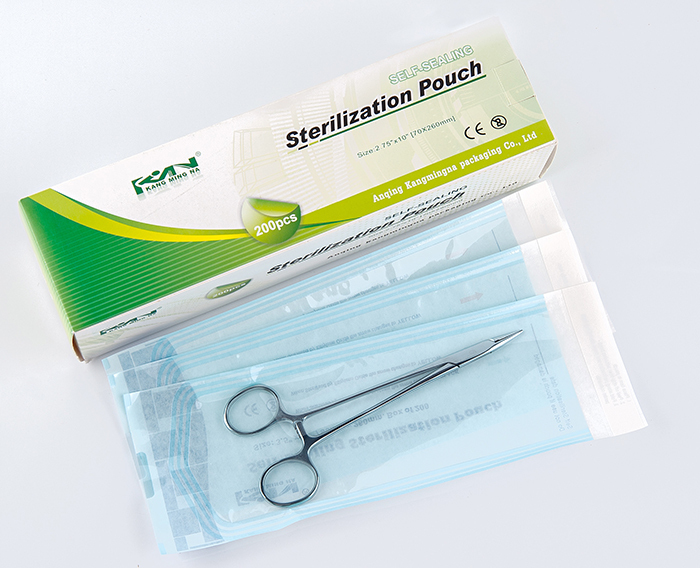 An aseptic removal is only feasible with scissors that assure effective and reliable protection of the sterile contents against contamination with unsterile dust. Clean and accurate indicator color change. KMNPack heat-sealing sterilization gusseted reels (pouches) are universal packaging solution for sterilization applications. They assure reliable and effective protection of the medical instruments against contamination with bacteria from the time of sterilization until use of the sterile medical instruments.